I took this picture after I parked my car at work this morning. The clouds were fantastic this morning and I thought the windmill would give this composition a nice touch. 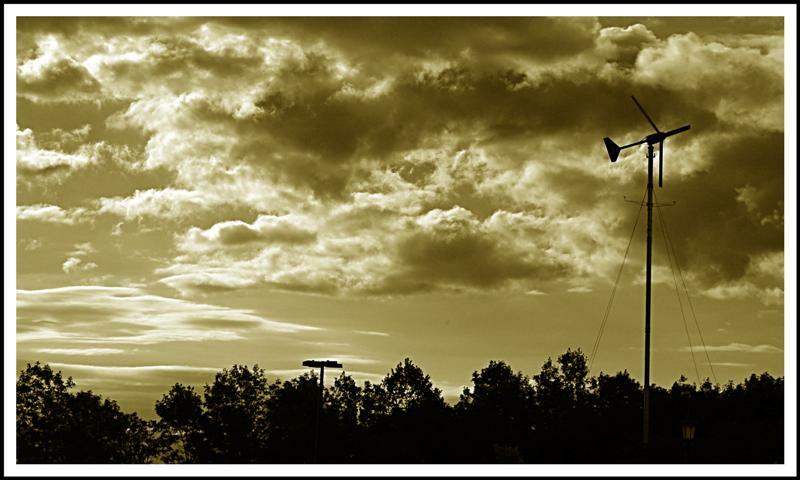 I cropped it slightly, adjusted the horizon, filtered it into sepia, and added a double border. I posted it on TE.